Longtime Palestinian struggler, Nasser Abu Khdeir of Shuafat, was released yesterday, 13 October from Israeli prison after serving a sentence five and one-half years. Abu Khdeir, 55, was arrested by occupation forces on 15 April 2011, and subject to a prolonged and cruel interrogation period before his conviction for involvement in “hostile organizations,” the Palestinian leftist political party the Popular Front for the Liberation of Palestine and its military wing. He was welcomed back to Shu’afat by his family, friends and comrades and a large tent of celebration which filled the evening hours with music and dancing. Abu Khdeir is a prominent figure in Jerusalem and in the Palestinian struggle generally; he has spent over 15 years in Israeli prisons over multiple arrests, and bears the injuries of an explosion from decades ago. He is very active in popular and community organizing in Jerusalem; his wife, Abeer Abu Khdeir, a prominent leader in her own right, have also been arrested and imprisoned by Israeli occupation forces, as has their son, Anan Abu Khdeir; their daughters Asala and Sumoud were attacked by the soldiers during the occupation forces’ raid on their home. Abeer Abu Khdeir spoke to the media upon her husband’s release, emphasizing that there are thousands of Palestinian women whose lives are spent becoming mother, father, brother and sister for their children due to the mass imprisonment of Palestinian men. She also noted that “this is part of our existence and daily life as Palestinians.” She expressed her joy at her husband’s release and noted her desire for every Palestinian woman and mother to also have that joy at the liberation of the prisoners. Nasser and Abeer have five children. Abu Khdeir is a member of the General Secretariat of the National People’s Congress and a lecturer at Al-Quds University. Abu Khdeir was held in Nafha prison before his release and was transferred on multiple occasions. During his imprisonment; he participated in multiple collective hunger strikes and protests during this time, including the 2011 strike against isolation; the 2012 Karameh hunger strike and the 2016 strike in solidarity with Bilal Kayed, during his 71-day hunger strike. 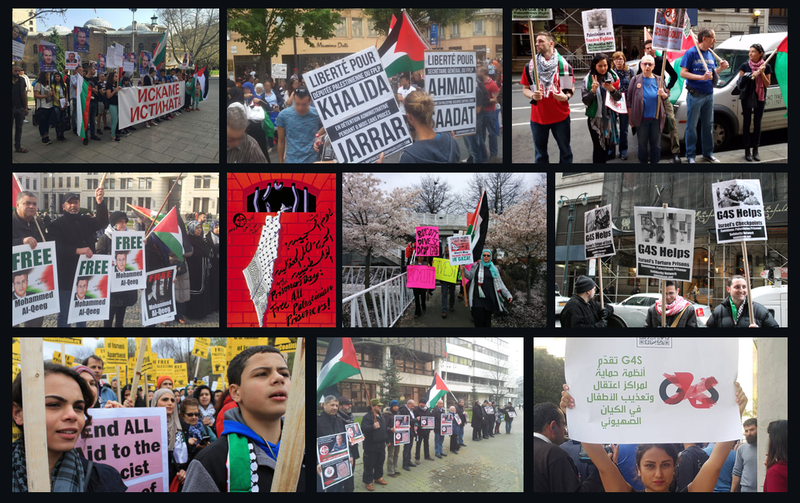 Samidoun Palestinian Prisoner Solidarity Network congratulates Nasser Abu Khdeir upon his release and urges escalated action to free all over 7,000 Palestinians imprisoned in Israeli jails.